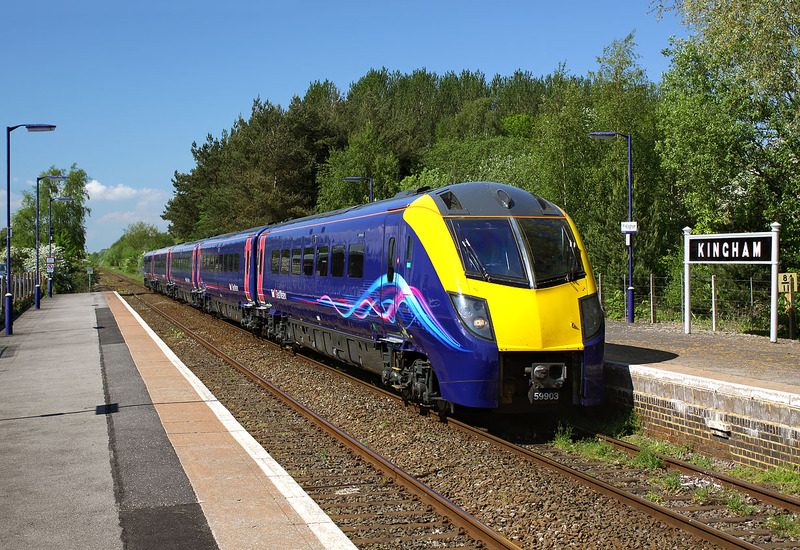 28 May 2012 marked the reintroduction of a Class 180 to passenger services on the Cotswold Line after a gap of more than three years. Sporting the new First Great Western 'wavy lines' livery, 180103 arrives at Kingham station with the first up working - the 1P57 14:26 Great Malvern to Paddington. It had earlier worked up to Great Malvern with the 1W29 11:20 from Paddington.